Can Retinyl Palmitate in Sunscreen Cause Cancer? Home » Can Retinyl Palmitate in Sunscreen Cause Cancer? There has been controversy for some time about the wide use of Retinyl Palmitate (RP), a form of Vitamin A, in cosmetic products—including sunscreen. The information below is in response to problems critics have raised about the safety of Retinyl Palmitate. As with all of the information we publish on sunscreensafety.info, we recommend our readers not hesitate to do additional research as they seek to reach a conclusion about any sun safety issue we talk about. Most of the criticism about RP comes from a large well funded lobby group (The EWG) who cites a National Toxicology Program(NTP) study for it’s warning that retinyl palmitate can actually increase the risk of skin cancer, and faults the FDA for not releasing the study. However, the FDA is yet to release the study precisely because it has not gone through proper peer review. Thus, the EWG based its criticisms on an unapproved 10-year-old study of mice that has never been published in any journal. To date, there is no scientific evidence that retinyl palmitate (a form of vitamin A) is a carcinogen in humans. What’s more, the trace amount of retinyl palmitate used in most sunscreens is staggeringly less than the amount that was used in the study (Study: 0.1 grams per oz. compared to Sample Sunscreen: 0.0000029 grams per oz.). When the Journal of the American Academy of Dermatology (JAAD) recently published (Aug. 2010) an independent report about the safe use of Vitamin A in sunscreen products, droves of blogs, print and online articles flooded nearly all media channels-across the nation and world. Doctors and scientists are continually going on record to support the AAD’s findings that sunscreens with Retinyl Palmitate are NOT harmful to our health. “…most sunscreens have trace amounts of this Vitamin A (retinyl palmitate). Dr. Gideon Koren dismisses theoretical risks of Retinyl Palmitate (Vitamin A) to pregnant women. “Pregnant women should not be scared of using sunscreen to protect themselves from skin cancer…. 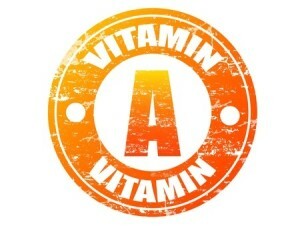 What does the Skin Cancer Foundation say about Vitamin A? According to Dr. Leslie Baumann, aka The Skin Guru, Retinoids (of which retinyl palmitate is a member), “lose efficacy upon sun exposure”. For that reason, she says it doesn’t make sense to add it to sunscreens. She also sites the fact that retinyl palmitate is only one of many Vitamin A derivatives, including beta carotene, which has actually been shown to PREVENT cancer. Dr. Baumann sites this as an “issue” when the EWG overlooks this distinction in their report. Even though we are confident that retinyl palmitate is still a safe cosmetic ingredient, we tend to agree with Dr Baumann, that since it’s efficacy in sunlight is in question, why use retinyl palmitate in sunscreen? From our research their are many quality sunscreens that do not use retinyl palmitate so it’s really a non issue for the consumer.